Before putting together any plan for organizational change, its crucial that you collect data from employees and other key stakeholders. Why? This information can ensure you achieve your organizational goals. Notably, the success rate of positive transformation at businesses is low, according to the Harvard Business Review. The publication reports that only about one-quarter of these efforts actually succeed; the rest fail or are abandoned by company leadership. Therefore, its critical that you do everything you can to ensure your plan is effective. Its not easy to make your company more data-centric. A good way to start, according to Forbes, is to implement digital engagement tools for employees so that they can give company leadership important feedback. Along with encouraging a culture of participation and feedback to weave data collection into your companys day-to-day operations, you can also use social media tools to get information about your customers. For example, you can partner with firms that can scour social media for certain phrases or sentiments to analyze what customers and other key stakeholders think about your company, product or service. As a result, youll have more data to better understand pain points, successes, and areas of improvement for the future. By analyzing this information, your companys leadership will identify ways to improve its business operations and understand which segments within the organization need to be altered in the coming months. Finally, data collection can also assist with workforce planning. The Harvard Business Review, for example, explains how companies have used data to select candidates for senior roles. Increasingly, businesses are using tools to hire staff. “Applying these tools when building a team could both improve project performance and help to build another new data set,” the article notes. Data can also be analyzed to determine what sorts of personalities and skill sets you will need from current and future employees once youve begun your transformation process. 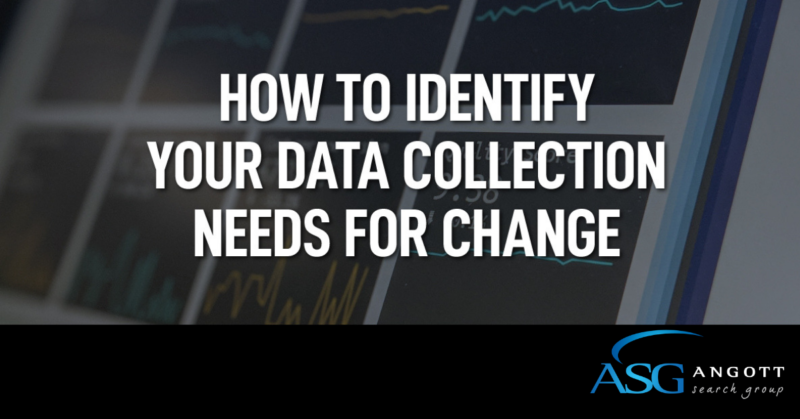 While its by no means simple to collect and analyze data at your organization before implementing change, its invaluable to your companys success. Not only can data help you improve your bottom line, it can increase employee motivation and enhance your relationship with your customers.